San Miguel Beer made what once was impossible finally possible. The Beermen completed the unlikeliest of comebacks, rallying from 0-3 down in the series and down 11 in the fourth quarter of Game 4 to string together four straight victories and finally knock off the Alaska Aces in the 2015-2016 PBA Philippine Cup Finals. In doing so, SMB rewrote the history books and became the first professional basketball team in the game’s history to overcome a 0-3 series deficit and win a best-of-7 series — and for the championship no less! The Beermen just completed the most historic comeback in basketball. The San Miguel Beermen made sure they owned a piece of history – and the championship – after becoming the first PBA team to come back from a 0-3 deficit to win a playoff series with a 96-89 win over the Alaska Aces in Game 7 of the SMART BRO PBA Philippine Cup Finals on Wednesday at the Mall of Asia Arena. 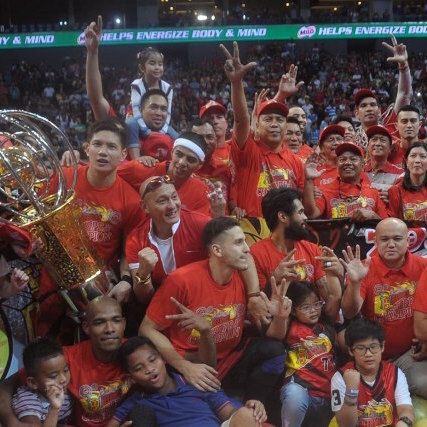 San Miguel’s historic feat, dubbed by fans as the ‘Beeracle’, allowed the team to clinch the 22nd championship in the franchise’s history. It was also the second All-Filipino crown in as many seasons for the Beermen, who have now won the title in three of the last four conferences. June Mar Fajardo, who missed the first four games of the series, led the way with 21 points and 15 rebounds, while Chris Ross also put up a heroic performance with 21 points – including four three-pointers – alongside five rebounds and five assists. Ross was named Finals MVP. Marcio Lassiter added 15 points, while Arwind Santos added a double-double with 13 points and 10 boards. Alaska put up a gutsy stand in the fourth quarter, where they outscored SMB 38-28, but could not get the job done in the end. Chris Banchero led the Aces, now the runners-up to the Beermen for a third time in the last four conferences, with 21 points, while Calvin Abueva had 16 points and nine rebounds. Vic Manuel, who had a breakout series for Alaska in these Finals, finished with just three points while playing on a sprained ankle he hurt early in the game. Alaska coach Alex Compton made some unusual decisions to start the game. He burned all three of his mandatory timeouts in the first half before the game could even begin, leading to what was essentially a six-minute delay to the game. 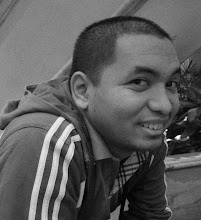 He then made a platoon substitution to start the contest, replacing four players from his starting lineup with Abueva, Manuel, Sonny Thoss and RJ Jazul, many of whom regularly come from off the bench. At the halfway point of the first quarter, a glimpse at the Alaska bench saw them in a huddle, not even paying attention to the game. The gamesmanship barely seemed to affect San Miguel, though, as they jumped out to a 15-8 lead even before their MVP, Fajardo, saw any action. Chris Banchero (ALA) - 21pts, 4rebs, 3stls, 8/13 FGs. June Mar Fajardo (SMB) - 21pts, 15rebs, 1ast, 1blk.